As 2017 comes to a close, we're looking back on some highlights from the recent months. For the fourth year in a row, we provided centerpieces and columns for The Norman B. Leventhal Awards. 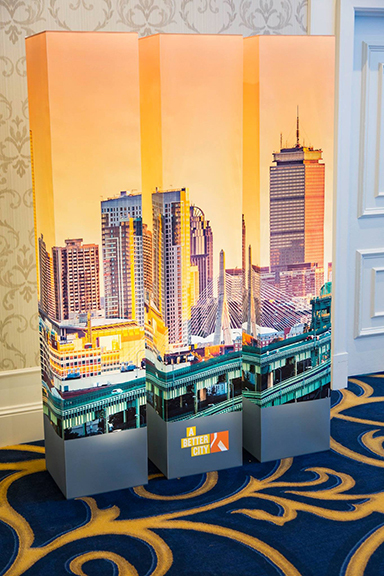 This year, we illuminated the Boston skyline across a series of square columns trios. 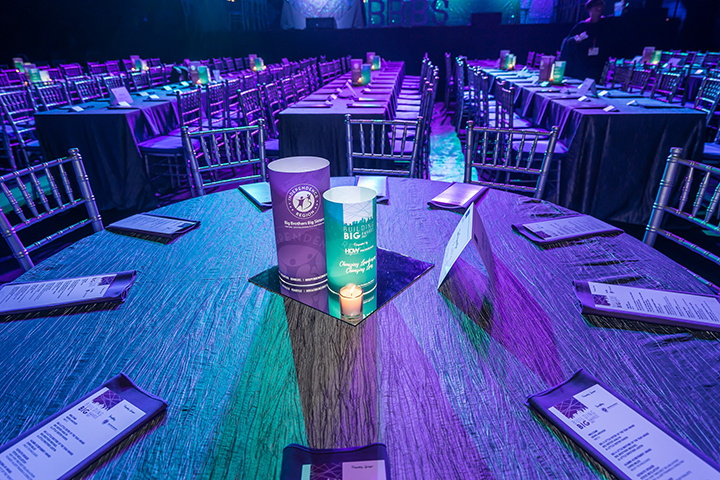 In October, we provided colorful votive covers for Big Brothers Big Sisters' Building Big Awards. We always enjoy providing illuminated decor for the Annual ICIC awards in Boston. As always, the elegant graphics were designed by Carol Maglitta of One Visual Mind. 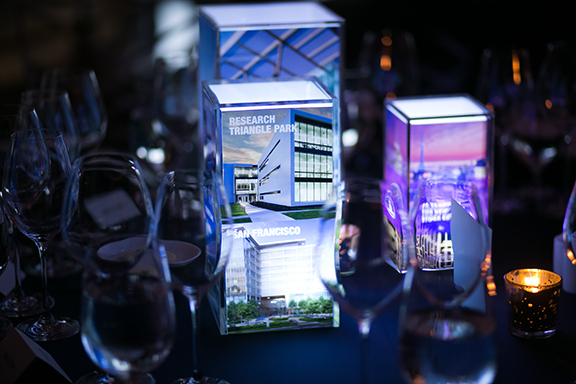 The round votive covers were combined with a coordinated "mat" and featured a cool plexiglass "blimp" with additional graphics. Last month, we provided round closed top centerpieces for IAVA's Heroes Gala at Cipriani in New York City. 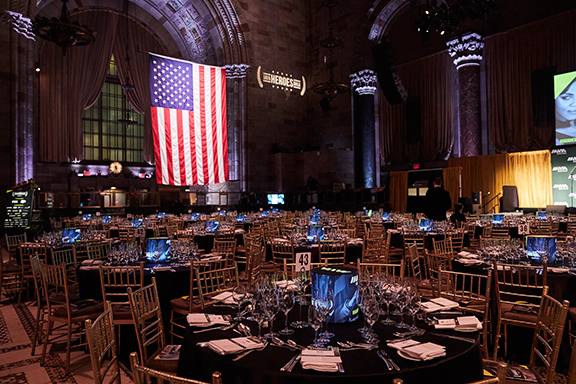 The IAVA Heroes Gala is an annual celebration honoring veterans of the Iran and Afghanistan wars. 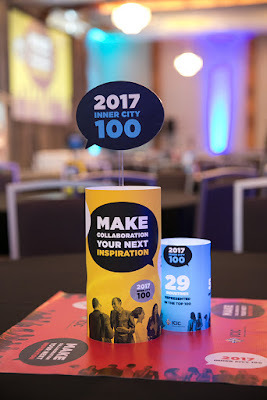 For more highlights from the event the recap of the event. 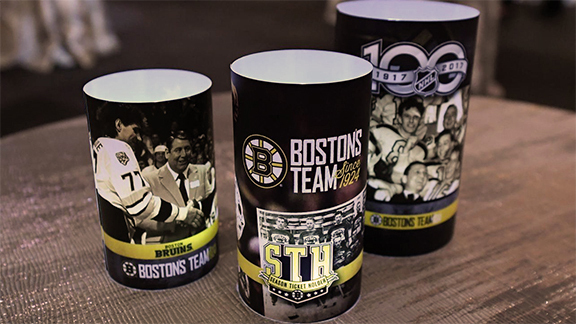 Also in November, we designed and created illuminated votive trios for the Boston Bruins Team Event held at TD Garden. This year's theme was the NHL's 100th anniversary and honored the team's season ticket holders. 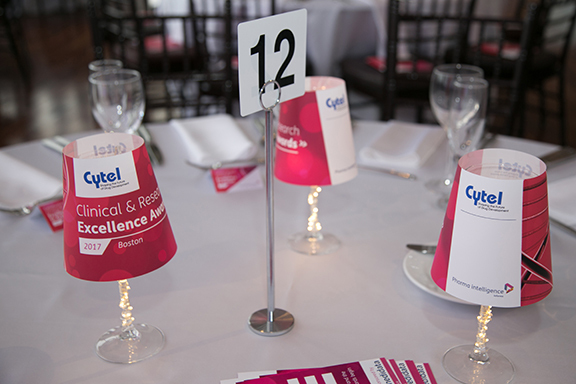 For the Clinical and Research Excellence Awards, held at the State Room in Boston, we provided custom wineglass shades. The team at Informa added the cute little stem lights. Trios of branded square open top shades were created to fit plexiglass boxes for Alexandria Real Estate Equities. The New York event highlighted ARE's various properties across the U.S.
We are so grateful to have been a part of so many wonderful events this year. 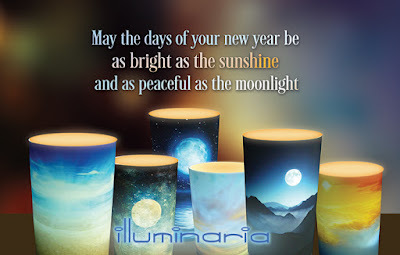 Looking forward to all to come in 2018.